Easter Saturday was cloudy and warm in Otaki where we held our first Easter Melee. It was a resounding success with an almost full field of sixty entries. (We can only accommodate sixty-four). After 5 timed games the eventual winner was Trish Smart (Horowhenua) with five wins, +37, closely followed by Lew Gill (Horowhenua) with 5 wins, +33. 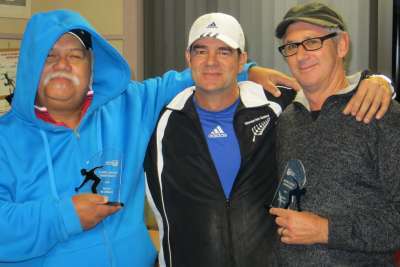 Shirley Fraser (Otaki) and John Macfarlane (Manawatu) finished equal third with 5 wins, +31. Alas there were no major prizes won on the scratchies that were handed out on the lucky pistes but I think all the easter eggs were enjoyed. The Foxton Beach Motor Camp pétanque terrain was built by the Horowhenua District Council under guidance from Bryan Wells. The Council have now sold the Motor Camp and permission is needed to use the pistes. The terrain is proving popular with European visitors. Six clubs have entered the Champions of Champions - Triples to be played at Otaki on Saturday 6 April. Ten players have entered the inaugural Regional Shooting Championship to be held at Kapiti on Sunday 7 April. Twenty-eight teams have entered the National Triples Championship to be held at Park Avenue (Sat 13/Sun 14 April). Interestingly, the FIPJP list of approved Boules and Cochonnet issued in February 2013 only lists the VMS brand of synthetic cochonnet. It also explicitly states that cochonnets must not be able to be picked up by a magnet. 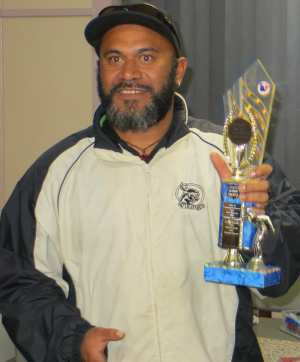 Michael Rocks (Khandallah) won the Regional Shooting Championship by four points from Dean Norman (Windy Hills). The six teams played a round robin and as it worked out the only two teams with 4 wins played each other in the round 5, a virtual final. Silverstream and Wanganui East had a tight game with Silverstream in the lead at 8/7. Then they left the gate open and Wanganui took a 5 then a 1 to finish the game. Masterton successfully defended the Jacques Cochonnet against Hataitai. Triples: Joan Miller/Graeme Morris/Ralph Priddle vs. Erica Drake/Catherine Maher/Christophe Vesse 13-8, 6-13, 5-13. Masterton's next challenge is at away to Silverstream. 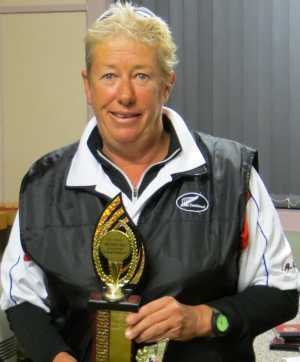 Christine Strichen (Wanganui East) and Georgio Vakauta (Vikings) retained their National Shooting titles at Park Avenue. Twenty-eight teams took part in the National Triples Championship at Park Avenue. After a five round Swiss qualifier on Saturday, the top eight teams played off for the Trophy and Plate on Sunday. The remaining twenty teams played a four round Swiss Consolante. 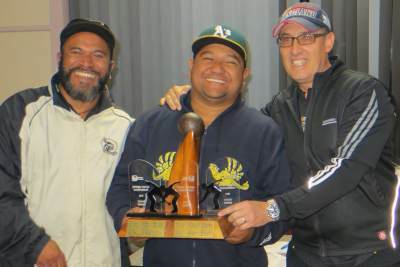 In an all-Auckland Trophy final, David Lippard, Junior Rurcell and Georgio Vakauta prevailled 13-9 over Allan Fletcher, Charles Peni and Richard Swaney. At the February WPA meeting two papers were received from Kevin McFadgen and Graeme Morris regarding the Regional Representative programme. The two papers have now been merged and placed on the Discussion forum under Representation. Feedback is welcome and can be submitted from both individuals and clubs. Note: Access to the forum is limited to current WPA members only. The draft minutes for the 11 April Meeting are now available. The final day results from the Inter-club competition are now available.